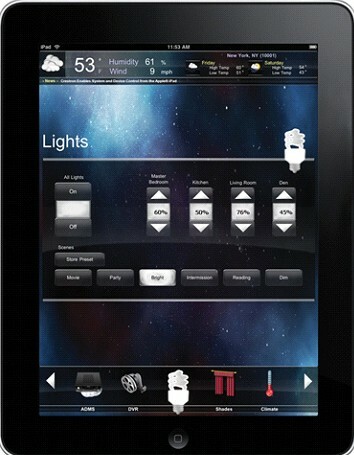 Crestron processors enable users to see their homes in different lights customary to specific needs and wants. The lighting and shading control can be based on the time of day, presets, to illuminating safe exits during emergency evacuations. Users can select the “Movie” mode and have the lights and shades adjust just right for that particular environment. And now with mobile access, you can set the mood on your phone before you even reach the neighborhood. Comfort and elegance all wrapped into a single module to satisfy the pickiest of moods can be obtained as each unique lighting system caters to each inhabitants personalities. Crestron offers the flexibility and design to make that possible.